Omron Electronic Components Europe has launched a new Air Quality Sensor module, offering four times greater sensitivity compared with other LED based dust sensors on the market. The higher performance and greater sensitivity of the sensor will allow tighter pollution control as well as the creation of more effective air purifiers and similar systems. The new B5W-LD0101-1/2 Dust Sensor from Omron is able to detect particles as small as 0.5 microns, this is less than half the size of the PM2.5 standard for fine particulate matter in the atmosphere. The sensor also features a high air throughput, of around 6 times that of established alternatives, giving improved sensitivity of response to changes in the environment. 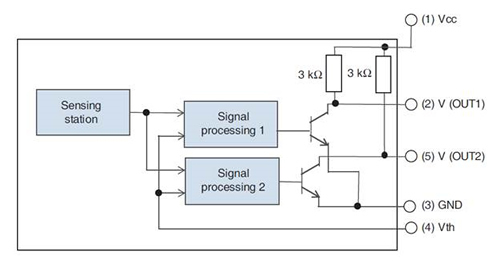 The dust sensor uses a light scattering sensing method with a pulsed output, a 5V output pulse is produced when particles are detected, the number of output pulses is proportional to the number of particles detected allowing dust concentration [μg/m3] to be calculated within the system. The new B5W-LD0101-1/2 dust sensor is highly compact measuring just 52.3mm x 39.3mm x 17.6mm – giving it an overall size of 20% less than popular alternative solutions, in addition the sensor is lightweight at only 20 gm making it suitable for use in portable monitoring devices. 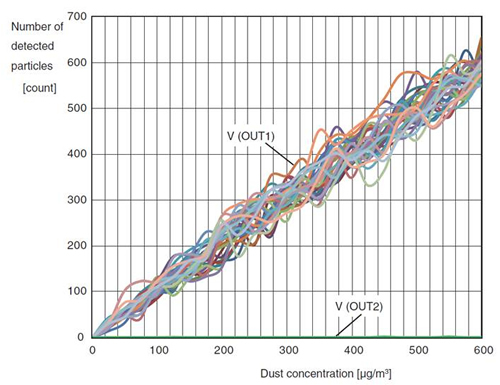 The dust sensor is part of a growing range of Omron solutions for Building Automation, Security, HVAC and other environmental systems which includes pressure sensors and velocity sensors that incorporate a Dust segregation System (DSS). 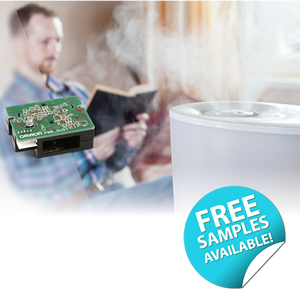 Anglia are offering customers FREE samples of the B5W-LD0101-1/2 dust sensor from Omron, please fill in the form below to register for your FREE samples now.